Alaska by Motorcycle: are you sure you know what you are doing? Excuse me, which way is the Baja 1000? The SolarCycle Diaries : "So, um, tell me again why we're cycling through the Sahara in June..."
Help! They're All Out to Get Me! 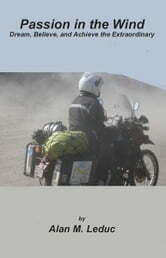 The Motorcyclists Guide to Surviving the Everyday World.